Review: 'Sunset' Is Gorgeous But Dispassionate A beautiful, headstrong young woman (Juli Jakab) interrogates her past even as Budapest prepares to crumble; director Laszlo Nemes depicts "the soil in which fascism takes root" with cool dispassion. Sunset stars Juli Jakab as Irisz Leiter, a young woman in Budapest on the eve of WWI. The hats are ornate and beautiful and way over the top, all of which might also be said of the paper-thin grandeur of the Austro-Hungarian Empire in 1913 as it teeters on the verge of collapse just before the outbreak of World War I. Budapest, the crown jewel of that empire, also teems with anarchists, cultists, con men, strongmen and all manner of unsavory types who reliably rush in to fill a social vacuum, all working under the radar of bourgeois decorum as the city feverishly prepares to celebrate a jubilee. We watch things fall apart through the vigilant eyes of a young woman in the eye of the storm, who may end up connecting the dots for us between fine millinery and toxic civilization. 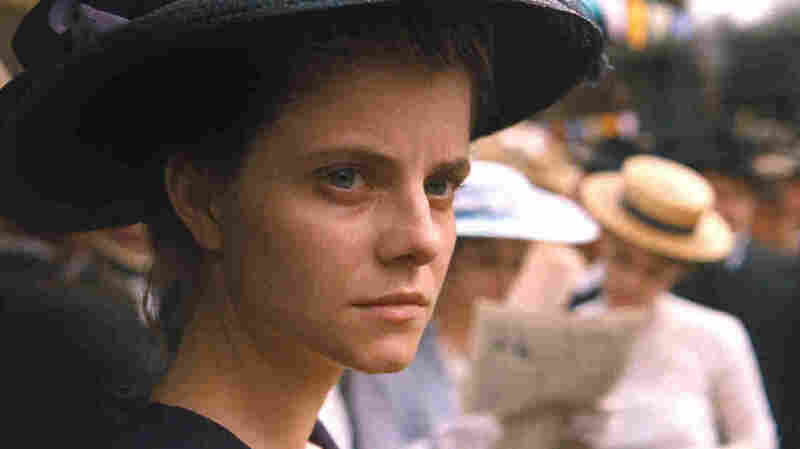 Then again, the film's director, Laszlo Nemes (Son of Saul) is not given to connecting dots — at least not so's you'd notice up front. At an upscale hat store catering to the local rich as well as high-ups from Vienna — Budapest's rival in wealthy excess — we meet Irisz Leiter (Juli Jakab), an elegantly dressed stranger with piercing blue eyes, who arrives at the shop ostensibly looking for work. She gets a distinctly cool welcome from the owner, Mr. Brill, a smooth operator played by Vlad Ivanov, whom you may remember as the reptilian abortionist in the Romanian film 4 Months, 3 Weeks & 2 Days. When he hears that Irisz is the daughter of the store's previous proprietors, who perished there in a mysterious fire years ago, Brill tries to run her out of town. Irisz digs in her heels, so he switches gears and adds her to the team of gorgeous women he has hand-picked, seemingly to make hats for an upcoming royal visit from Vienna. They don't know it, but the girls are being groomed for something far creepier and more cultish than a party. The rot starts at the top, and adding to the mystery is a downtrodden Countess (Julia Jakubowska), whose dead husband may have been murdered by a brother Irisz never knew she had, who's either dead or spearheading a brewing insurrection in Budapest's dark netherworld. Sunset is unsettlingly devoid of exposition, foreshadowing or any other tricks that flag where a complicated narrative might be going. If anything, Nemes means to immerse us in the stew of malignant ambiguity that threatens to engulf Irisz as she tries to unravel the tissue of secrets and lies that surrounds her parents' deaths. The film strands us with Irisz as her search leads her from one unreliable lead to another, the background always blurry and indistinct. A hand-held camera clings to her retreating back as she commutes between light and darkness, between the overripe opulence of the store, the streets bright with festive celebrants, and the dank corners of the city. There, a bearded mystery man tells Irisz, plans are afoot to make sure that "blood will flow in these streets." Nemes can be relentlessly opaque, which at time makes the film a drag to follow. But there's method in his determination to leave us with nowhere to park our own affinities. He's showing us the soil in which fascism takes root, and in this sense Sunset operates as a kind of prequel to the director's 1915 Son of Saul, which confronts the horror of the Nazi concentration camps through the eyes of a Sonderkommando prisoner whose job is to rip valuables from the bodies of his gassed fellow Jews. Sunset catches a moment when spreading unease and dysfunction threatens to tip over into apocalypse, a war without heroes. There's a touch of the fanatic or the avenging angel in Irisz too, in her implacable refusal to give way or give up. Nemes is not one to announce parallels between them and now. But the movie's final scene makes it impossible not to see a warning in Irisz's implacable stare into the camera from a wartime dugout. The victim has, perhaps, grown into a radical leader. Only we don't know what kind.